Hey Australia! 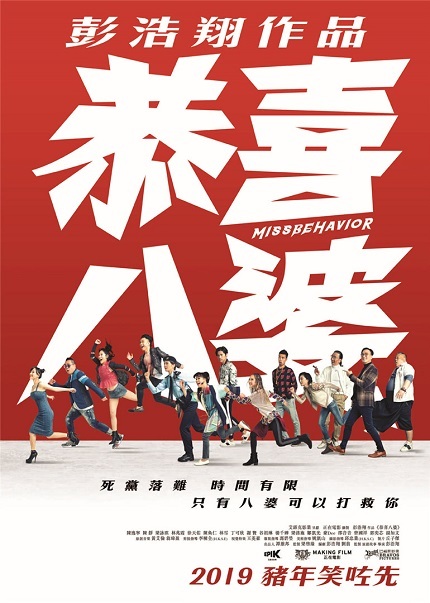 Win Tickets to See Pang Ho Cheung's MISSBEHAVIOR in Cinemas! Hong Kong director Pang Ho Cheung, the man behind comedy hits like Men Suddenly In Black and Vulgaria, is back this Lunar New Year with his new film Missbehavior. His all-star cast includes Miriam Yeung, Gigi Leung, Dada Chan, June Lam, Isabella Leong and many others. Thanks to Australian distributor Magnum Films, we have five double passes for Missbehavior to give to our readers. This competition will close at 3pm on January 29. Good luck!